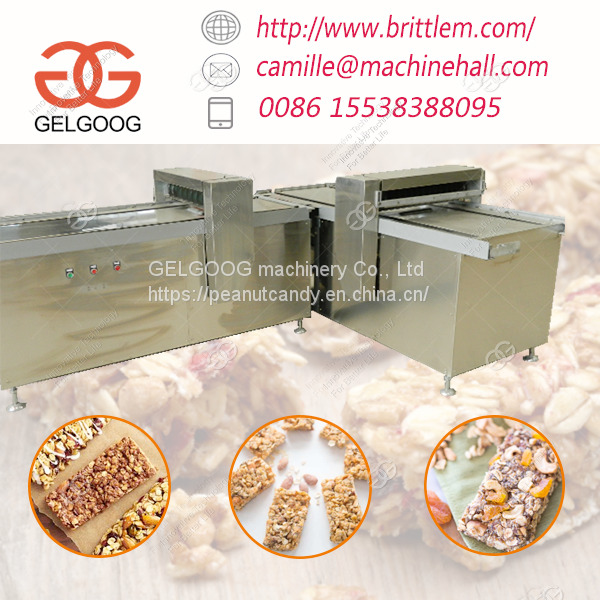 China Manufacturer with main products:peanut brittle making machine ,sesame candy production line ,energy bar making machine ,caramel treats production line ,peanut roasting machine ,groundnut peeling machine ,pillow packing machine and so on. 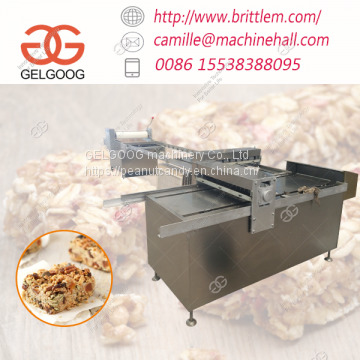 The Chewy Granola Bar Making Machine is an L-type cutter that requires manual control and is easy to cut granola bars. 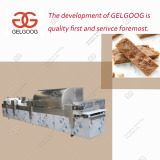 It is also suitable for flat cutting of peanut sugar and sesame crisp. The final molding effect is good. 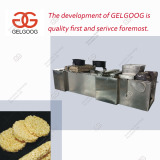 It is very popular in food production and processing. 1. 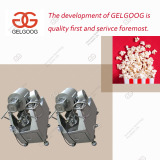 This is the best choice for processing small-capacity peanut crisps and sesame crisp products. 2. 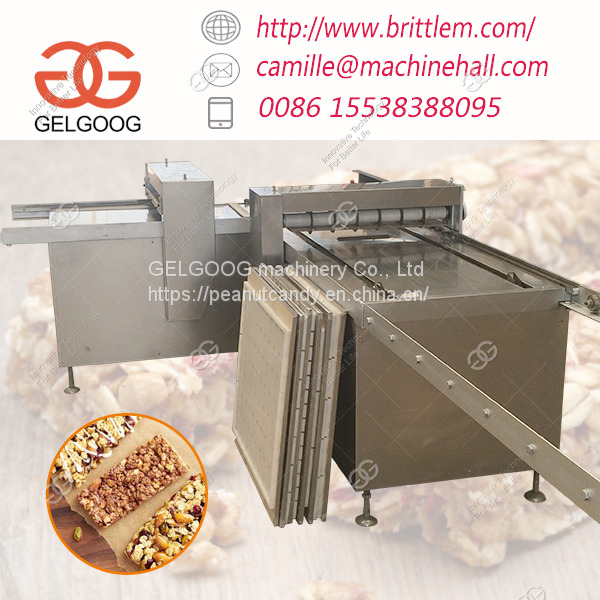 The finished finished peanut slices are smooth, beautiful, neat and fruitful. 3. 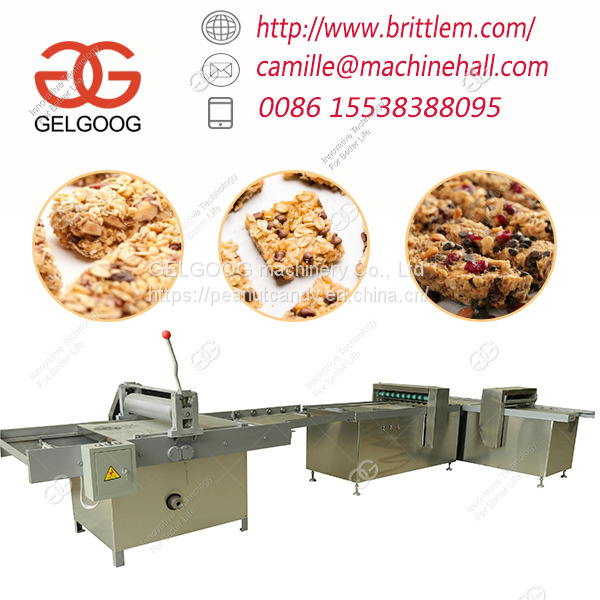 Provide the thickness and cut size of the custom board within a certain range. 4. 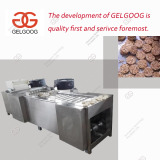 The process is simple and convenient to control, saving energy and labor during production. 1. 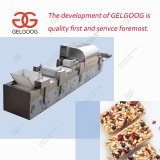 Versatile, can be applied to the cutting of various sugars. 2. Can be used with peanut slicer. 3. The machine is of high quality and has high conversion efficiency. 4. 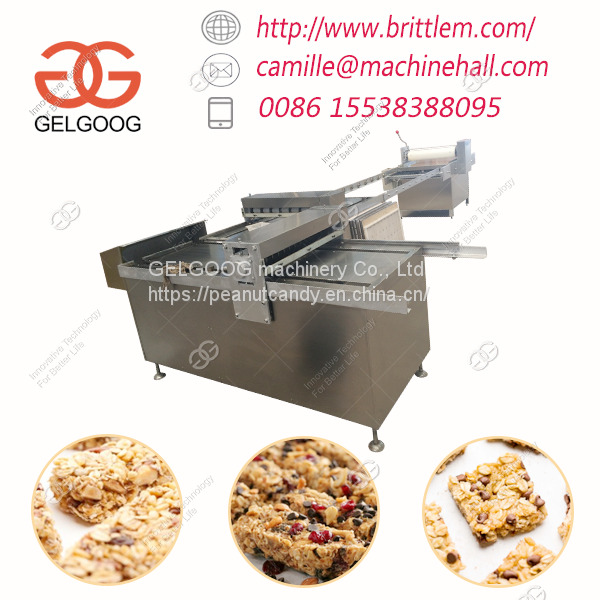 The whole machine is made of SUS304 material. 5. Because semi-automatic performance is cheap.